Byron Primary have a fantastic Friday afternoon set up whereby every child can select two different clubs where they can acquire new skills, build new relationships and discover hidden talents. The Right Step have previously offered Street Dance and Creative Dance sessions to their club list, but this term we were asked to provide a cheerleading club….and what fun we’ve had! The children have enthusiastically responded to their cheerleading sessions, often eagerly telling me their stories of how they have been practicing the steps throughout the week in anticipation of their next class. We begin each class with a structured warm up helping the children to raise their heart rates, stretch their bodies and strengthen muscles. Following this we then set to work on learning some of the basic cheerleading motions. The children have learnt motions such as ‘T’ and ‘High V’. Over a period of 12 weeks the Cheerleaders have developed these basic motions into a fantastic routine combining cheer steps, group formations, travelling patterns and of course a lot of pom pom shaking! We even have our own Byron school cheerleading chant! 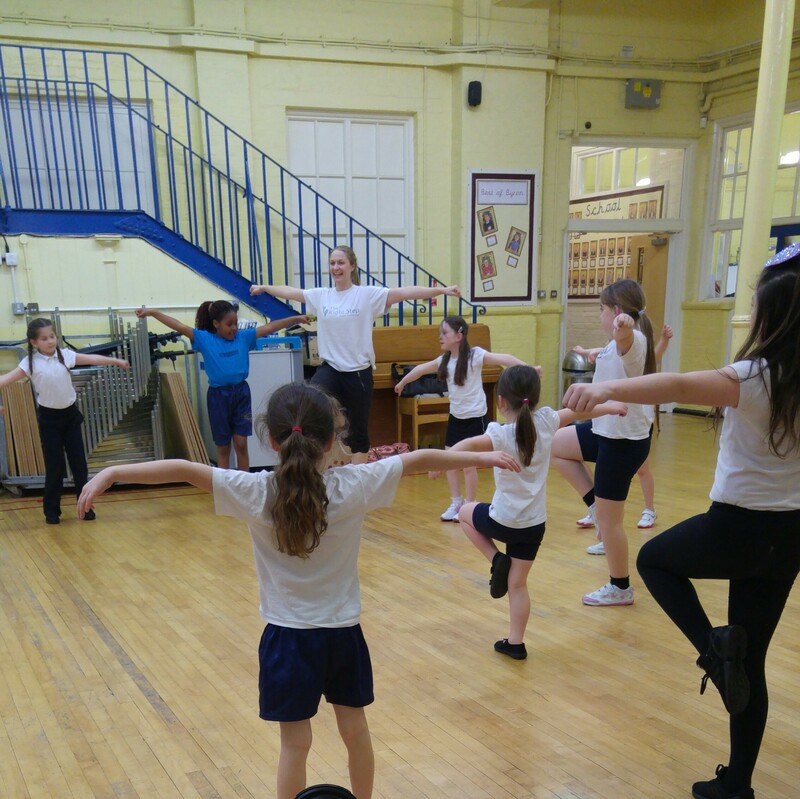 As the children have developed in confidence throughout the term we have also started to learn some basic stunting focussing on team work, supporting each other and maintaining strength and balance. It has been wonderful to see the children grow throughout the term and this has been demonstrated in their own choreography. In small groups, the children have been able to structure their own cheerleading routines, using cheer motions and group formations to demonstrate not only their acquired knowledge but also their creative talents. If you are interested in holding a cheerleading workshop or series of classes then contact Stephanie at stephanie.vezmar@therightstepdc.co.uk and we will be more than happy to help.